Lake Tahoe CSA – Coming to a Box Near You! There is one downfall to living in Lake Tahoe, unpredictable weather seasons making gardening extremely difficult. I grew up in an Italian family where my grandmother grew all her own vegetables and flowers and was raised on organic sustainable cooking without even knowing it. Unpredictable spring weather includes late May snow showers and a ground soil that doesn’t defrost until even after making the planting and gardening season in Lake Tahoe especially short. Often I am limited to an herb and flower garden during the hottest months of the year in July, August and September only. I didn’t want to forego enjoying fresh fruits and vegetables but also didn’t want to pay the price at the grocery stores either. This is why I decided to join a CSA. Enter Mountain Bounty Farms. I have been enjoying their fresh vegetables and fruits now for two years! Often I hear people ask this question. CSA stands for “Community Supported Agriculture” a popular way for people to buy local, seasonal produce directly from a farmer. How it works is a farmer offers a number of “shares” to public consumers called “members” primarily a box of vegetables and some additional products. Members purchase a share, typically by a season like summer or winter, and then receive a box of produce each week throughout that season. Learn more about practices and advantages of a CSA visit Local Harvest. Who is Mountain Bounty Farm? A bit of background on Mountain Bounty Farm. Located on the San Juan Ridge in the Sierra Nevada foothills Mountain Bounty Farm is 20 minutes from Nevada City and Grass Valley close to the Yuba River. It prides itself on being the oldest and largest CSA farm in Nevada County. Founded in 1997 by John Tecklin and today is owned by him and Angie Tomey. 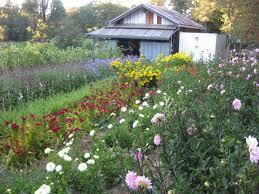 The farm is in its 16th growing season and serves 500 members with a seasonal weekly mixture of vegetables and flowers. Mountain Bounty Farm’s mission is “to provide a reliable local source of the highest quality produce for Nevada County residents, and to work towards the economic sustainability of our rural community”. Mountain Bounty Farm sells shares throughout all of Lake Tahoe, Reno and Nevada County offering winter and summer shares of vegetables, fruits and florals. Over the past two years I have enjoyed both the fruit and vegetable shares. In winter vegetables shares you will find leafy greens, root vegetables and potatoes whereas the fruit includes citrus and kiwis. Summer shares are more diverse with vegetable boxes full of tomatoes, broccoli, asparagus, lettuces, fresh herbs and fruit shares contain ripe peaches, plums, berries and grapes! Visit their website to learn more about the season contents for each share. The shares are BIG and described to feed a family of four. I have always split my share with a friend amongst four people and it has been plenty. One of my favorite things about Mountain Bounty Farm’s membership is that in every share they include a weekly newsletter with information about the farm, the contents and a recommended recipe featuring contents of the share. I have expanded my cooking knowledge and skills over the past two years by incorporating unfamiliar and new ingredients! A great feature about Mountain Bounty Farm’s service to Lake Tahoe is in the variety of locations provided, especially convenient during the winter months. They have pick-up locations around the Lake including (3) in Truckee (Glenshire, Downtown and Central), Tahoe City, Kings Beach, South Lake Tahoe and Zephyr Cove! To learn more about their pick-up locations and schedule visit their website here. If you are interested in joining Mountain Bounty Farm in Lake Tahoe it’s simple! 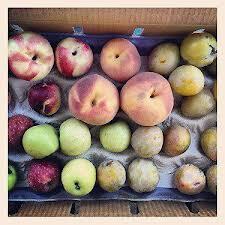 Just visit their website and explore the different vegetable, fruit and flower shares available. Now is the perfect time to sign-up for the summer shares that will begin in late May and June. Are you a member of a CSA or are interested in joining? If so, please share your thoughts in the comments below.